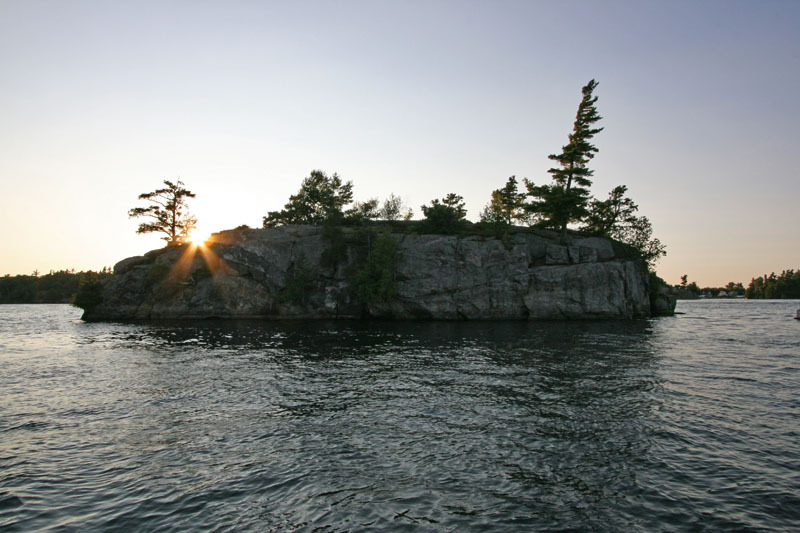 There is a very special place on the St Lawrence River called The Thousand Islands. The islands are sometimes close together but unless you walk on water you will still need some water transport. There are over 1800 islands. Not all islands are inhabited. Some are just too small. So how do they get around up here? There is no shortage of water transport. 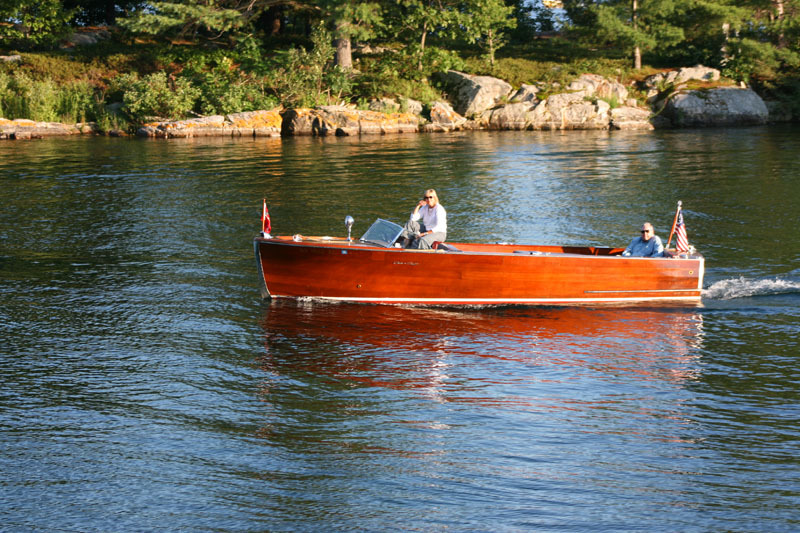 Classic wooden boats are the luxury mode of transport on the river. Beautifully restored and maintained these boats are the beauties of The River. 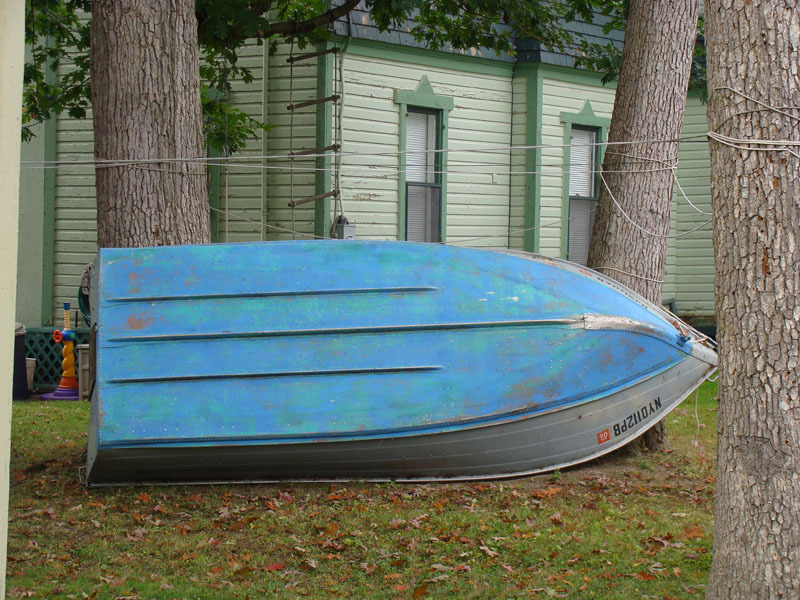 The Antique Boat Museum is located in Clayton, New York and houses a fabulous collection of wooden boats and skiffs. 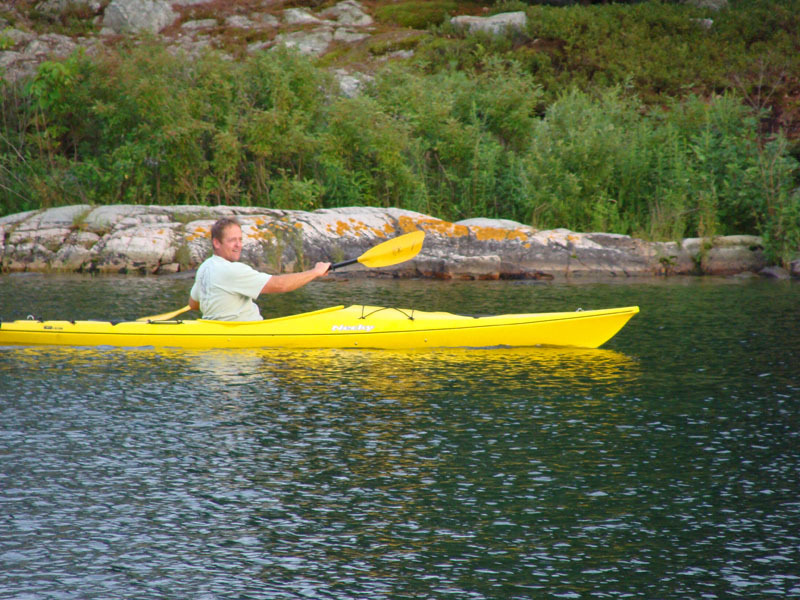 Kayaks are a wonderful way to get around if you don’t need to get there too fast and you are happy to go it alone. You get a great feel for the islands as you can get close to land without worrying about the shoals and going aground. 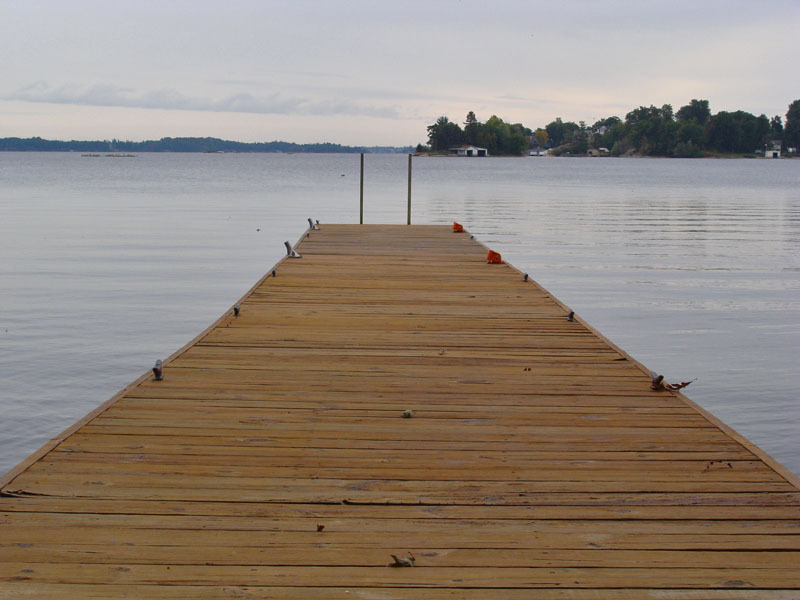 It is quiet, peaceful and you can enjoy the local wildlife without scaring it off. 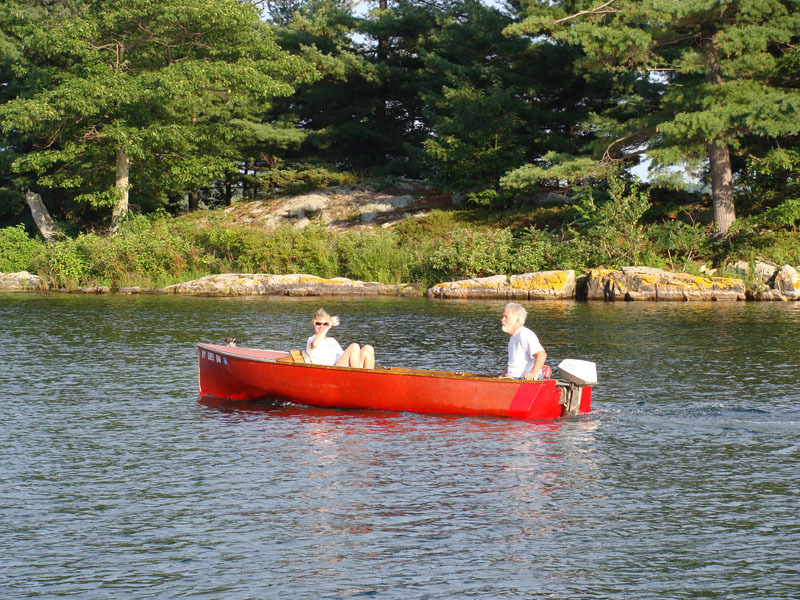 Rowboats with or without the motor are great for basic motoring. A great boat for the kids as they can’t do too much damage to themselves or the boat. Not true for these things. 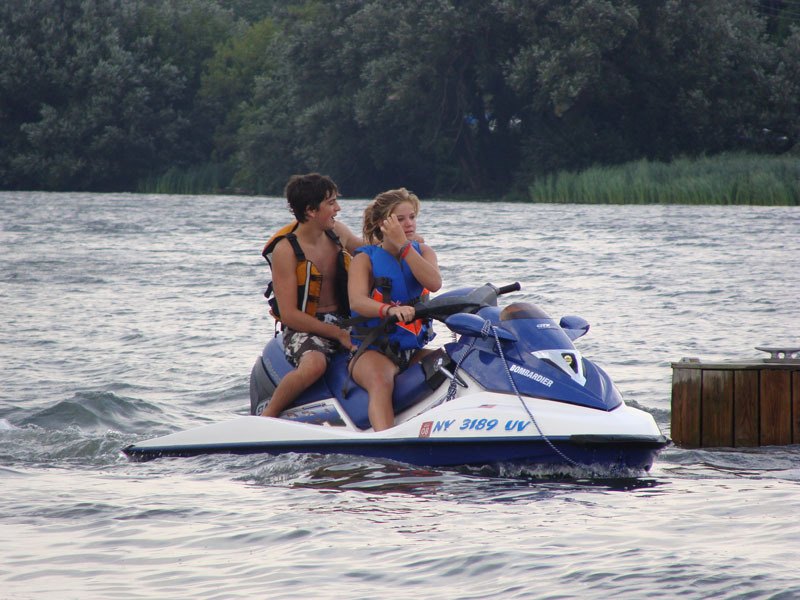 Wave runners are popular with the teens, though they do need to get a boating licence and must be 16. (Of course Becca did this the first day so that there was no reason she couldn’t use the wave runner.) These rules help a little but they are like the motorcycle of the waterways and can be too fast, with little protection for the riders. I love going out on them. But then I live on the edge. And yes, I take pictures while driving this thing. Though I must admit I go rather slowly because as you know, with my history, I am just one wave from falling in with my camera. Just out for a little ride and a cocktail. Aahhhhh! The River is the perfect place to relax.